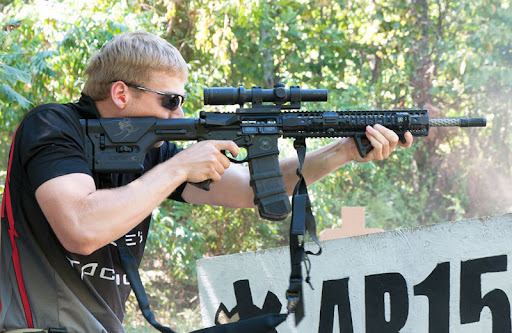 With competitions going on all around our Great Country, I thought it would be a good idea to go over what to bring to a major multi-gun match. I won’t go over the basics but will concentrate on what will make a difference at a match. I would suggest making a list and checking it t wice before you depart. Most matches are located in the middle of no-where which makes for a bit of a challenge if you leave something at home. You may get lucky and find someone with extra gear that they would be willing to share. A special thanks goes out to Andy Horner for loaning me his pistol belt. The most important thing to remember to bring is enough ammo. As a rule, bring double the ammunition that the match calls for. Everyone misses and you should have enough ammo in case you do too. There is also the very real possibility that you may have to re-shoot a stage or two. 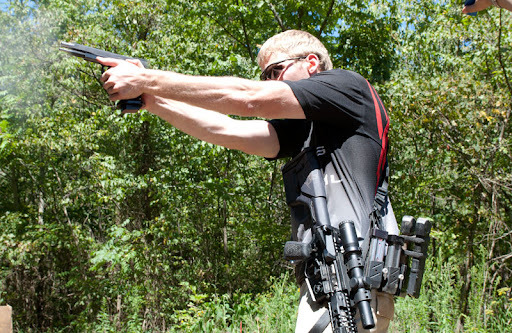 Bringing enough ammo also gives you piece of mind, so you can concentrate on shooting, not on scrounging up ammo. This brings up another obstacle, getting your ammo to the match. If you are flying, you are restricted 11lbs of ammunition. Most matches require more than 11lbs so you can either plan on buying your ammo when you land or ship it to your hotel. This regulation has caused a lot of headaches. Most hotels are very accommodating when it comes to this. You should always bring a cleaning kit. On most matches, you can get away with never cleaning your gun between days of shooting. I know that I did until I shot the Texas Multigun this year. High winds mixed with fine dust caused several jams that could have easily been avoided with some preventative maintenance. Superglue has many uses and is great for holding your fingernail together after several days of reloading a shotgun. Don’t leave home without it. Bring a rangefinder, you might hear that the target is 300 yards away but the only way you’ll know is to hit it with the rangefinder. Nine times out of 10, that 300 yard target isn’t 300 yards away. Also, most range finders have a low level of magnification which allows you to get a better idea of the target and if there is anything in the way of the target. Since the most people shoot low magnification scopes, it will be an easy transition from the low powered rangefinder to the low powered scope. I hope that theses tips help you out and keep you focused on why you are shooting the match, to have fun. If you have any questions about 3 gun, feel free to ask or email. Can’t believe it’s already that time of the year! Yesterday we had a literal blast at our annual AIM Family and Friends Labor Day Shoot. 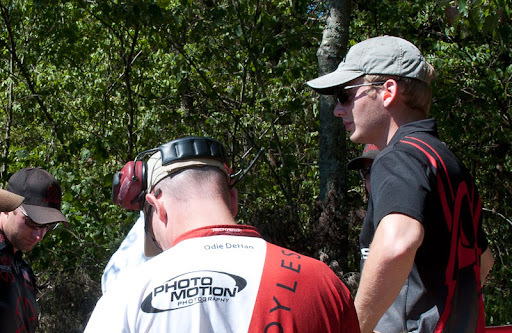 A great way to spend some fun time together doing something we all love… Shooting! Yes, our jobs are pretty awesome.